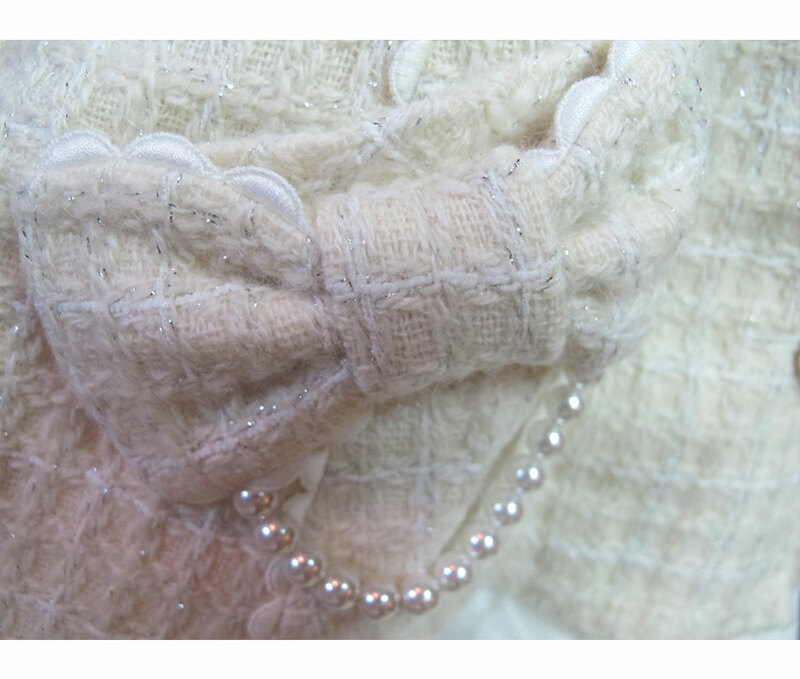 This is brand new and unworn with tags, the fabric swatch and spare buttons. 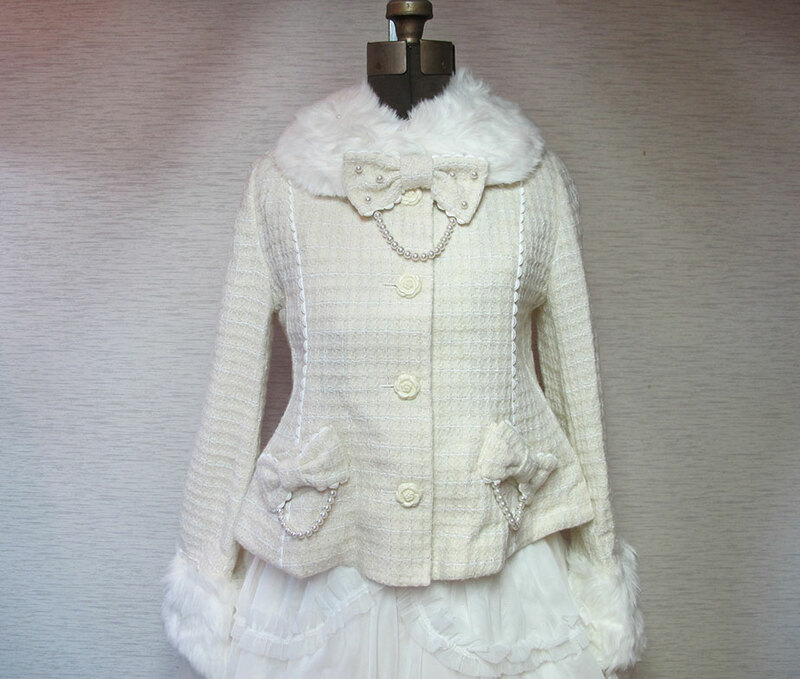 Lovely short coat so you can be warm but still show of your skirt! 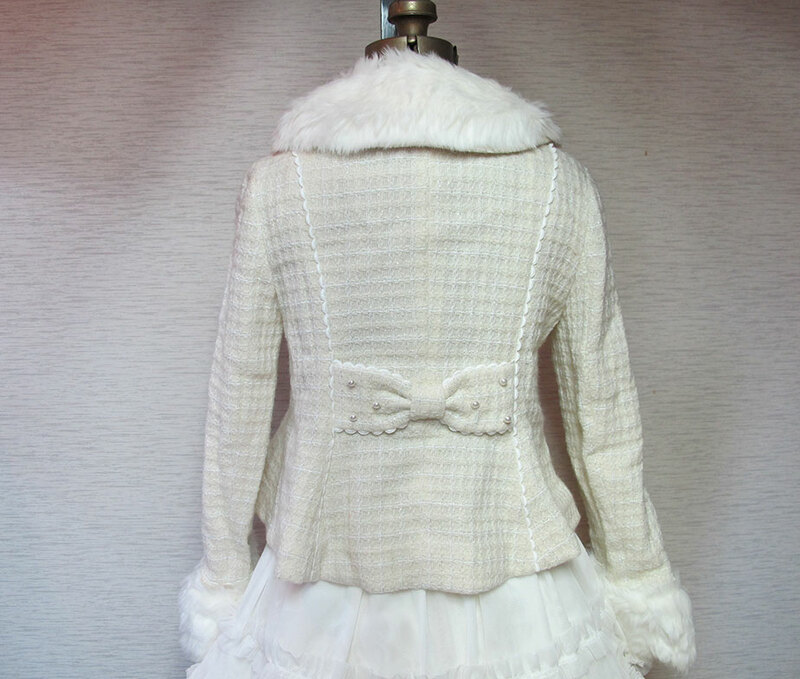 The fabric has silver threads throughout it, which is really lovely, and along with the rose buttons and pearl detail, gives this coat an elegant look. 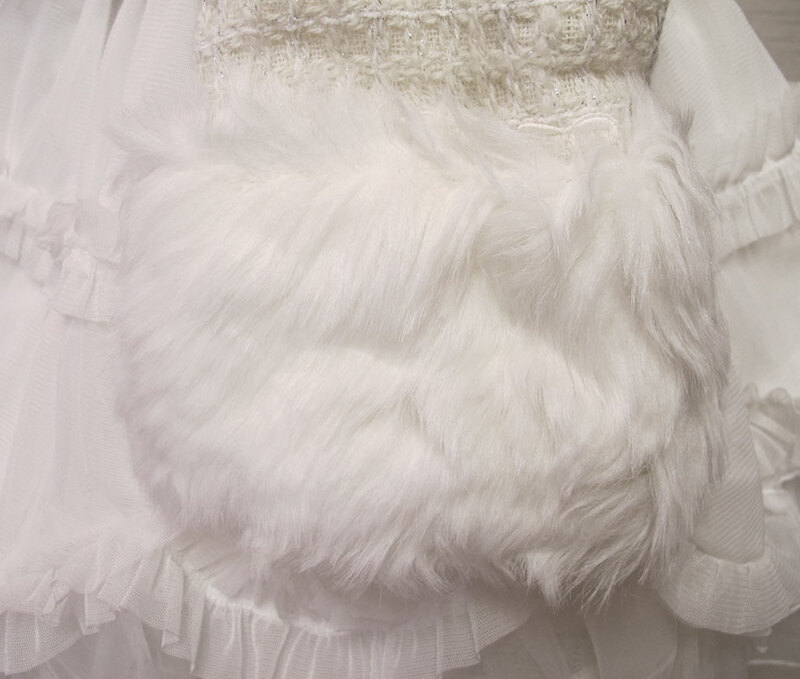 Originally 31104 yen. These are brand new and unworn. 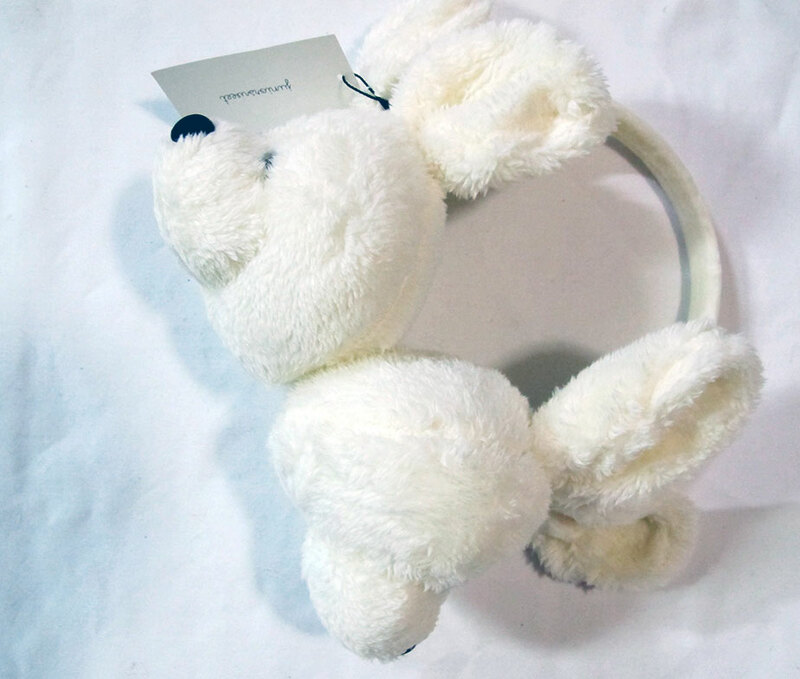 Cute white bunny ear muffs from popular Japanese causual brand WEGO! This is brand new and unused. 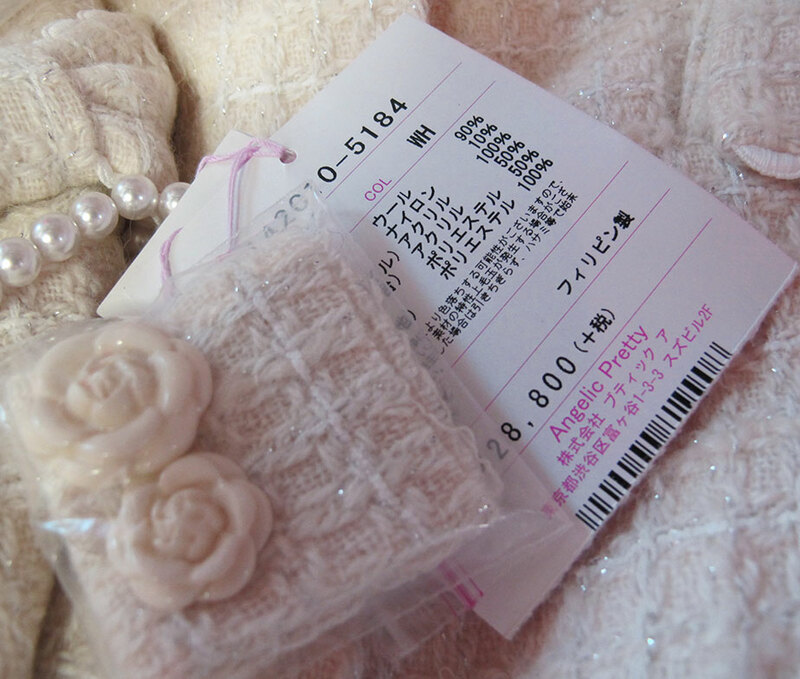 It was a novelty item and is made with orginal print Angelic Pretty fabric from the Sugar Dream Dome series. This is used but in good condition. 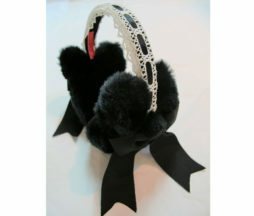 Cute fluffy black rabbit shaped ear muffs with white lace detail. 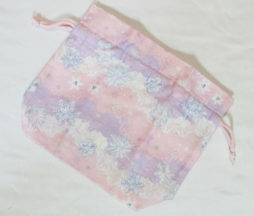 Great for an old school coord!